Note: If you have a RealMe verified identity we recommend using this registration option. Click here for further instructions. Complete all of the fields in the registration page. Your password must be between 8 and 50 characters in length, for more information, visit Choosing a password. 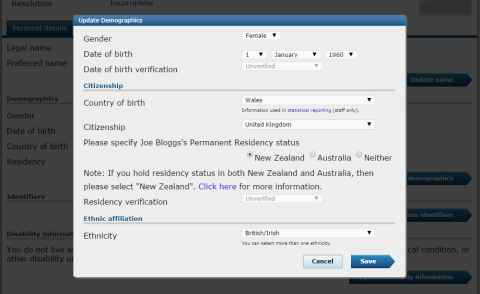 The next steps are to update your profile with your personal details so that we can identify you as being a unique person in our system. 2. 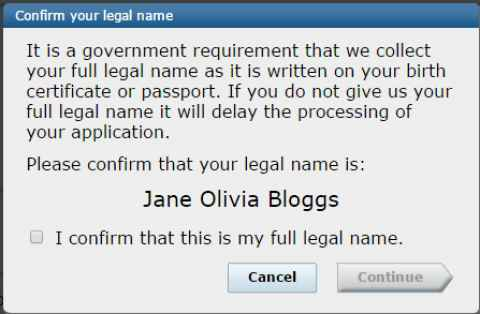 When you click on save in the update name page you may be asked to confirm that the name provided is your legal name. Select Yes to confirm or Cancel to go back and correct the information. 4. 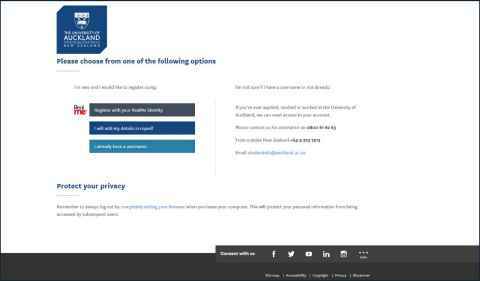 Once you have completed the fields on the Personal Details page you should also provide us with additional information such as phone numbers, addresses and email addresses. 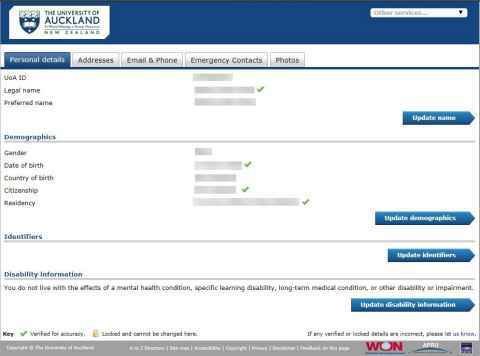 Depending on the relationship you establish with the University you may be required to provide additional information at a later stage such as emergency contact information. 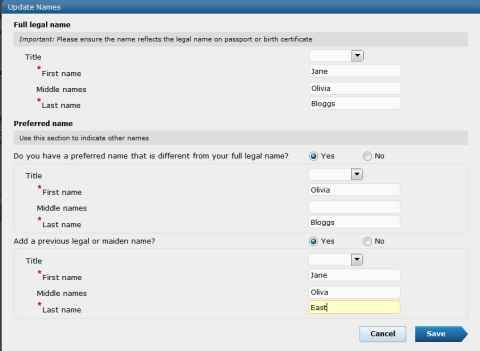 If you have provided us with your legal name and date of birth a formal identity record will be established and an email will be sent to you confirming your new username. Once you have provided all of the information that you want to, simply close the browser window. The information you have provided will be checked and your username will be assigned. This should happen within 1 to 2 working days. Go to Identity and access management. Click on the 'your identity details' link at the top of the page. 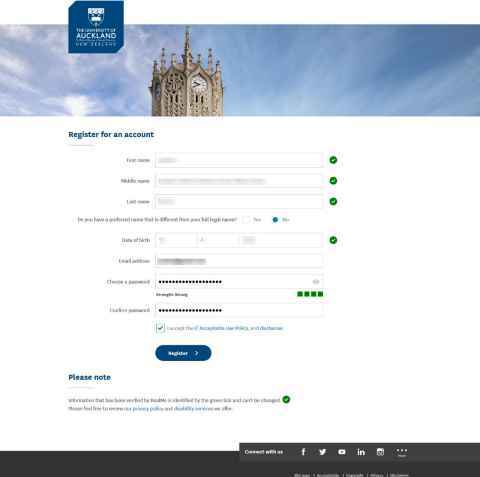 Sign in using the email address you provided at registration and the password that you created. If you need further assistance with the self-registration process please contact us.